In Ontario Family Day is designated as a day where workers get a day off with pay, enabling them to spend quality time with their family and loved ones. The holiday gives employees a relaxing long weekend between New Years and Easter. The BPSA Open House was indeed a “Full House”. 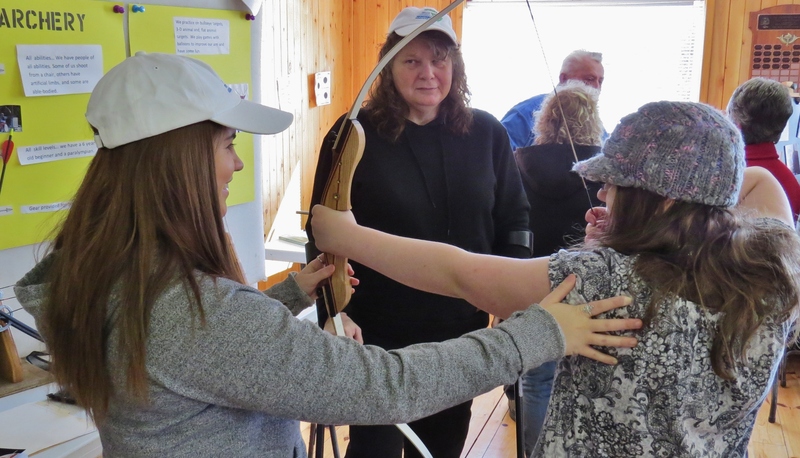 At our clubhouse West of Wiarton, there were lineups of youngster trying to get a feel for archery. Archery program instructor Donna MacGinnis and junior archer Jessica Davidson were busy all day giving kids tips on what to do and what not to do. 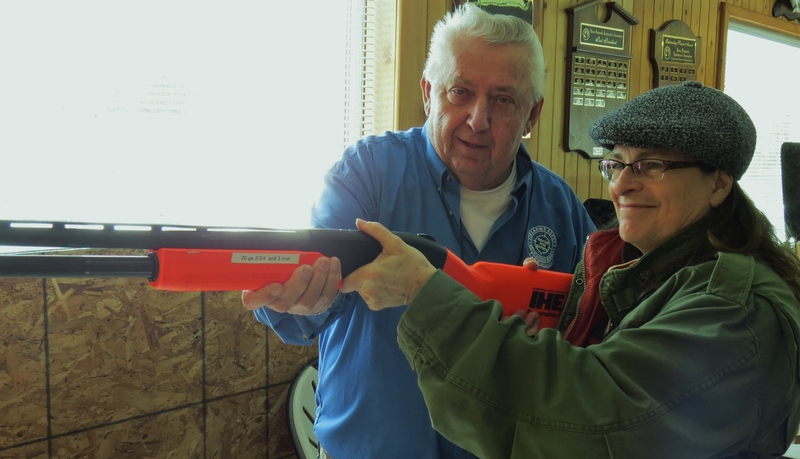 Firearms instructor Frank Hutter explained our BPSA shooting programs with a strict emphasis on safety. Visitors lined up for a look at our indoor shooting range. There were hatchery tours. BPSA boasts the longest operating volunteer run fish stocking program in Ontario. Since the sixties we have stocked over 5-million rainbow and brown trout and salmon for the Grey-Bruce recreational fishery. 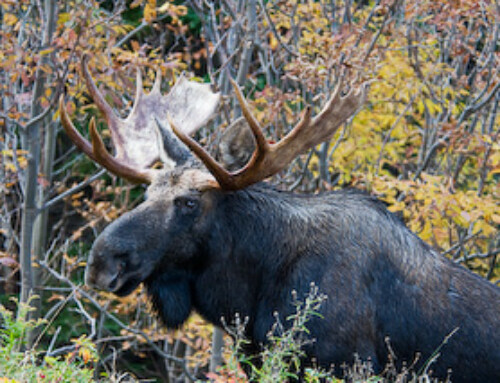 Our stocking is licensed by the Ontario Ministry of Natural Resources and Forestry and is operated for the Province by the Ontario Federation of Anglers and Hunters under the Community Hatchery Program. Before visitors left there were free hotdogs, coffee and hot chocolate. BPSA President Jim Martell explained that this open house was a part of our club’s community outreach effort. An effort that we hope will attract new members, as we try to expand our range of programs aimed at getting more people outdoors. Our next major event is the annual BRUCE PENINSULA SPORTSMEN’S ASSOCIATION Spring Fishing Derby for members and guests. It runs from May 12-14 with the derby awards Sunday May 14 during our annual fish fry at the clubhouse. BPSA KIDS FISHING DAY 2017 runs May 27th this year at our hatchery pond. The MNRF has donated 300 brook trout for this popular annual event which will be “catch and release” and once again will be lots of fun.